It's fairly easy to get in, but it also is a majority female college. 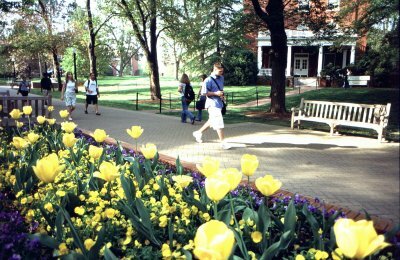 As mentioned, UMW is fairly easy to get accepted to, but academics are challenging. You can likely get admitted as a C student, but you won't do well and likely won't last very long unless you're willing to do the work of an A or B student. Do not apply to get it. They are lowering the SAT and GPA to get more students to get sucked into school full of administrator fakes and liars. From academics to athletics both higher administrators only do whats best for themselves and not others or their students. I was happy but I realized I made a mistake coming here. If they want to come to UMW, that's awesome for them. Just get Randolph, study hard in the first semester because that's what matters first. Take easy classes in your first semester so you have a 4.0 gpa, have great connections with your professor and ask help from them. It has a 80% acceptance rate. Try to get a good GPA first most, 3.5 and above- and if you have terrible test scores (like me) you will be a shoe in. They also give out scholarships if you have above a 4.0 and great SAT/ ACT scores.